Kentucky's Malik Monk throws down a pair of highlight-reel dunks on back-to-back possessions against Tennessee-Martin. 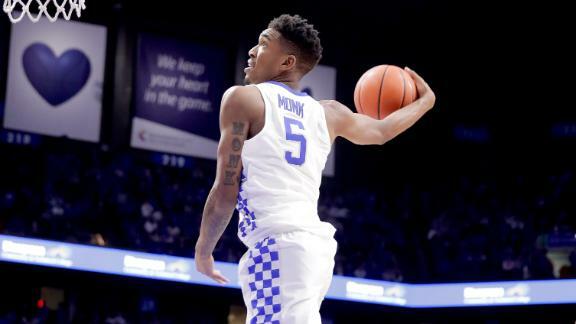 Malik Monk, who has signed with the Kentucky Wildcats, discusses his performance against El Dorado (Ark. ), the support he has received from Kentucky fans and what he will bring to the Wildcats. ESPN recruiting reporter Jeff Borzello breaks down the impact of Malik Monk committing to Kentucky. Recruiting reporter Jeff Borzello discusses the big-name ESPN 100 prospects who are bypassing the early signing period and waiting until the spring.